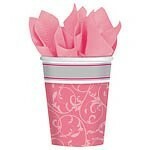 These pink cross cups are decorated with a pastel pink colour and a white swirl pattern. They match the pink cross blessing range perfectly. 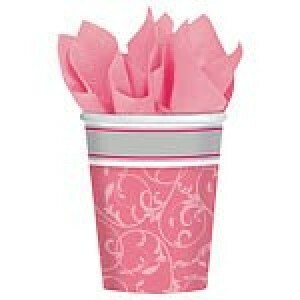 Pack contains 8 x 266ml cups.